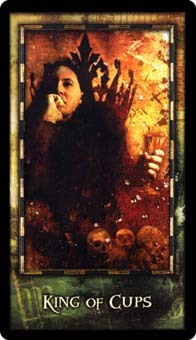 Today's Draw: King of Cups from the Archeon Tarot. What's your relationship with your inner demons? What are the strengths your demons have come to give you? What is your take on what our demons are about?